We can see from the photos that this RF system's material is high quality aluminum alloy and with stainless steel base cover. 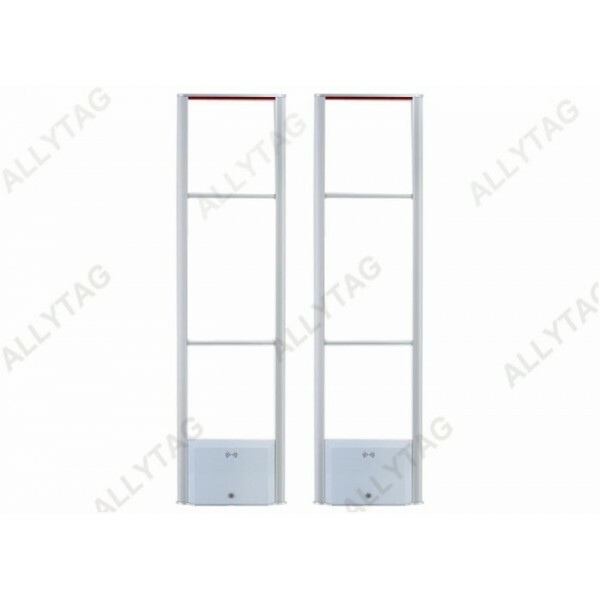 The white color of the panels are making the security antenna gates quite high end and the best quality ever. 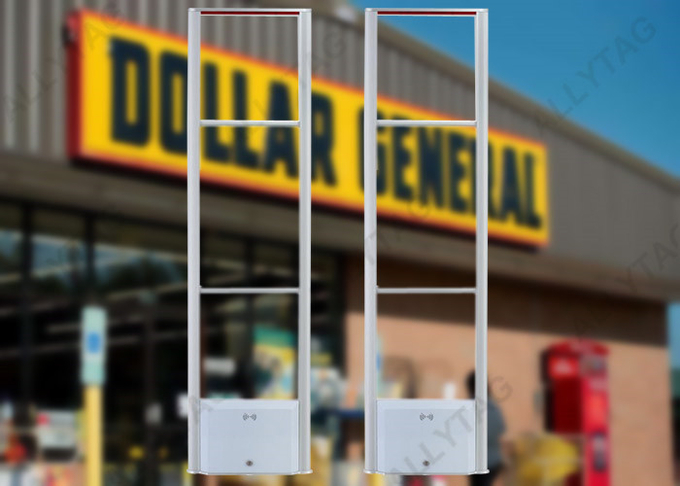 Panel dimension of 358mm width determines the alarm system with high and wide sensor detection, this can be suitable for retail shops or stores or supermarket that have wide and big gates, which in some way decrease the cost for installing more antenna gates. The Red LED light on top of the panel gate is as wide and long as the panel width, it can send out light warning quite well to stores staff and theives. The electric board is designed and manufactured by our own, so the technices are unique and professional. Sample: We can offer sample for test, we can give a discount on the sample cost or sample cost can be refund if offcial order is placed. Packing: 1set ( 2pedestals) / carton; N. W: 8.00KGS/set; G.W: 12.00KGS/set. We pack the system with high quality foam and high qualtiy carton to protect the system being damaged during long way shipping. Carton printing can be customized and packing way can also as per clients' requirements. We have been selling this RF aluminum alloy system to many countries all over the world for many years. 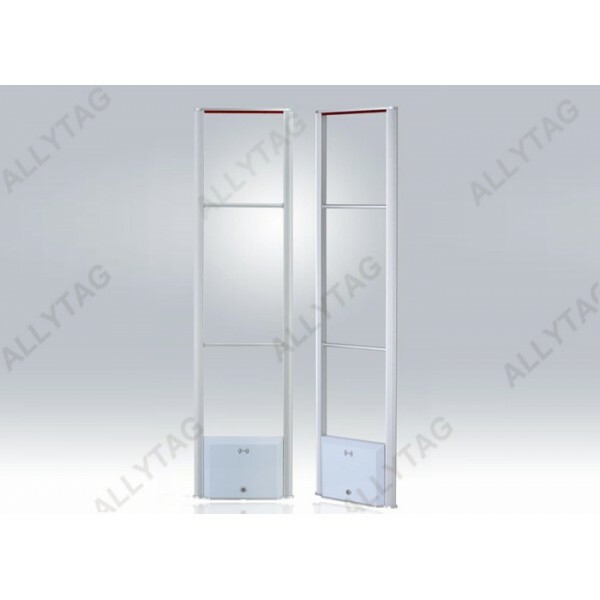 The light weight of the system antenna is one of the advantages for international shipping comparing to those acrylic systems, which most of them are quite heavy. The moden and fashion design of this RF system is widely applied to moden clothing shops, famous supermarket, cosmetic shops and so on. It works well on stores anti-theft while not stealing the thunders from the stores selling commodities. The market we sell to includes European countries, USA, Canada, South Americas, Australia and son.